Please note that the usual time for the start of Baildon Walkers are Welcome 2nd Saturday Guided Walks is now 10.00a.m. 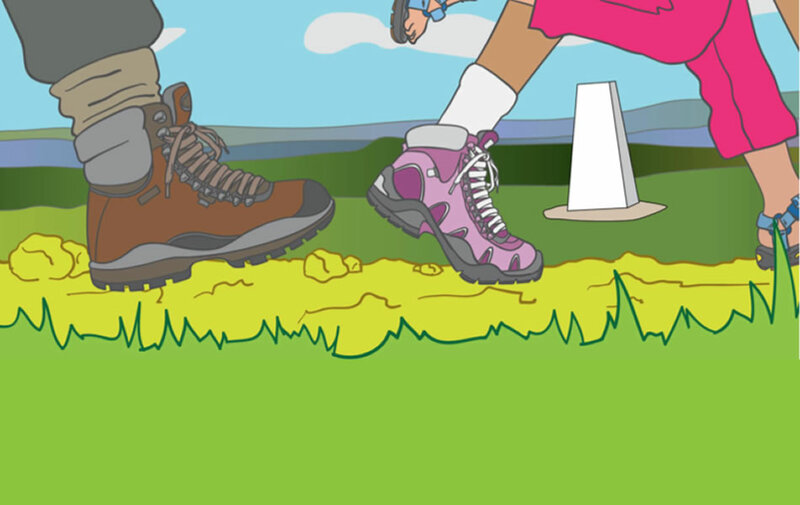 Meet Jan Thom and Bob Davidson at the Potted Meat Stick for a guided walk which will largely follow the route of The Welcome Way Bingley Loop taking in Baildon Moor, and Eldwick heights. We shall arrive at the Five Rise Locks Cafe in time for lunch to be purchased (or bring a picnic to eat nearby). Option to return on foot along the canal (total for whole circular walk = 9 miles) , or you may prefer to end your walk at Bingley (5 miles) and return by public transport. We are sorry that we cannot accept dogs other than assistance dogs on our guided walks. No booking required – just turn up. In the event of totally inclement weather, any cancellation will be posted on our Facebook page (which can be read at the bottom of the Home Page on our website).